Gualala home with spa nestled away in the redwoods and close to the ocean. Enjoy fine dining, great shops, hiking and beaches for a romantic getaway or family vacation. While most people traveling to California tend to travel to Southern California, there is plenty to do on the north coast of the state as well. You will find less crowding at the beaches and the availability of vacation rentals by owner is likely to be more substantial in this less traveled region. However, the existence of fewer crowds does not mean less beauty! On the North Coast you will find miles of wide-open beaches that are completely different from the crowded coastlines that are reminiscent of the southern coastline. Even during the summer you will find redwood trees, cliffs and rocky coves. This part of the state also has an abundance of inland lakes where you can enjoy a swim on a hot summer day. The North Coast also has many nature preserves and redwood forests that are perfect for those included to hike along rugged trails. The trails also have picturesque views of the Pacific Ocean. The numerous rivers and lakes that are farther inland provide the food you need for fishing, waterskiing, swimming and boating. 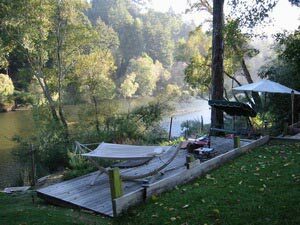 You may also want to visit Redwoods State Park while you are enjoying all the other views along the way. There are plenty of theme parks and other family oriented activities along the North Coast. You will find 400 miles of beaches, redwood forests, spas and vineyards just to name a few. The North Coast is not lacking in arts and other cultural activities. You can easily find plenty of galleries and festivals within the small communities along the coast. Several of the communities sponsor monthly art walks and community theaters. Annual music festivals are quite commonplace on the North Coast as are venues for the performing arts and music. Think of doing something different and traveling to the North Coast of California away from all the crowds that infiltrate the southern coastline. Locating a vacation rental by owner is the perfect way to see the beauty of the northern coast without spending a great deal of money to do it. Because it is less traveled, it is possible your vacation home by owner even close to the beach will cost less than you would pay in Southern California. Always plan ahead in order to obtain the best rates and the best accommodations for your vacation on the North Coast of California. Interested in More California North Coast ? Check out nearby Ft Bragg , Gualala .